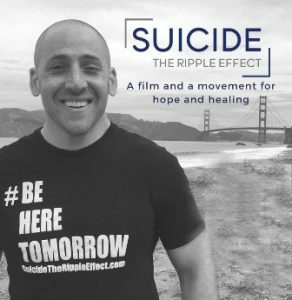 Monarch and the System of Care Collaborative of Mecklenburg are sponsoring a free screening of “Suicide: The Ripple Effect,” on Thursday, Nov. 8. Two showings will take place at Northwest School of the Arts, 1415 Beatties Ford Rd., Charlotte, at 10:30 a.m. and 6 p.m.
Any community member interested in attending either showtime can reserve their space through Eventbrite or by visiting www.MonarchNC.org. Following the screening, a brief question-and-answer session will be held with a panel of community resource and mental health experts. The film chronicles the story of Kevin Hines, who at age 19, attempted suicide by jumping from San Francisco’s Golden Gate Bridge. The film is part of a global mission to help reduce the number of suicides and suicide attempts worldwide. Through sharing stories of survival and recovery, significant awareness is being created surrounding this health crisis, while helping people find the support needed to heal and live. Across the globe, nearly one million people die annually by suicide. The American Academy of Child and Adolescent Psychiatry reports suicide as the second leading cause of death for children, adolescents and young adults ages 5 to 24-years old. A study conducted by the American Academy of Pediatrics also cites that both suicide ideation and suicide attempts have nearly doubled from 2008 to 2015 among adolescents. “Death by suicide impacts all of us. As a community, we have lost students, parents and friends to suicide,” explained Dr. Cotrane Penn, executive director of Student Services for Charlotte-Mecklenburg Schools. “Out of all of the causes of untimely death, none is more preventable than suicide, but to do so requires that we raise the mental health and suicide awareness of students, families and advocates within our community. Hines has been on a mission to use his story to help others find recovery, while becoming the world’s most prominent suicide prevention speaker and advocate. The film highlights leading suicide prevention experts and features people who are using their personal experiences to help others find help and hope. Monarch’s Senior Community Outreach Manager Yesenia Mueller applauds the effort of the sponsors to get out the film’s message to students, families and the community. “In presenting the film, the goal is to educate the community and increase awareness of what to watch for in those that may be indicating signs of suicide,” said Mueller, who serves as the co-chair for the System of Care Collaborative of Mecklenburg. The film screening is sponsored by Cardinal Innovations Healthcare; Charlotte Mecklenburg Schools’ Student Services; Old Vineyard Behavioral Health Services; Smith Family Wellness Center; Mental Health America of Central Carolinas; and Project 658. The film will also be shown to select Charlotte area high school students later this month. Established in 1958, Monarch provides support statewide to thousands of people with intellectual and developmental disabilities, mental illness and substance use disorders. The organization is nationally accredited by The Joint Commission. Monarch operates The Arc of Stanly County, which is a chapter of The Arc of North Carolina and The Arc of the United States.